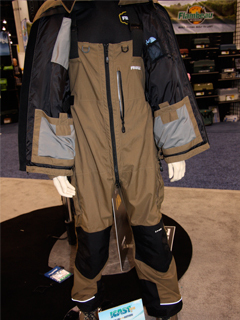 Frabill, makers of the revolutionary and innovative SnoSuit cold-weather apparel system, released another revolutionary and innovative apparel system at ICAST 2010 - the FXE Stormsuit. 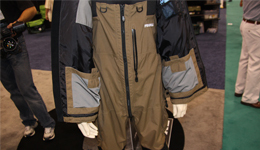 The FXE Stormsuit is designed for wear in the most extreme elements, allowing you to stay completely dry and comfortable, no matter how much water Mother Nature throws at you. 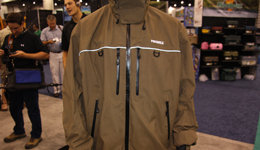 The Frabill FXE Stormsuit is expected to be available for purchase in November of 2010.